Samridhi revisits the fashion savvy Mysuru with its vibrant spirit and fashion forward styles on Jan.6 and 7 at Hotel Southern Star from 10.30 am to 8.30 pm. On display are a sizzling collection of Sarees packed with a multitude of robust Indian colours and textures. Swasstik, the silk store from Bengaluru, brings silks for every generation. Sakhi – By Chandras has launched a special collection for its royal patrons in Mysuru. In addition to designer sarees, they will also showcase jewellery, footware, dresses etc. Three Folds presents sarees wound with tradition and culture trough ages. Sanrachna unveils its new collections highlighting the trend in women’s ethnic wear, sunny, trendy, fun, bright and comfortable. A combination of style and elegance by Darpan & Iris can be perfect for everyday wear. Pinky’s Collection is all about chic prints, exotic colours and fresh cuts. Plush from Delhi will showcase Indo-western outfits that are quirky, smart and chic. Stylish, regal and elegant, catch the glamorous collection by Design N Stylz. Sparkle and shine with statement jewellery by Esmastore. Fuschia by Ritu brings hand crafted exquisite semi precious jewellery. Tiny Hugs will showcase a exclusive collection of children wear. Vedantam collection of sarees will enhance any wardrobe. Amrapali Jewels from Jaipur needs no introduction to those who enjoy collecting exquisite jewellery pieces. Rugs & Spreads, Ethereal, Kashmir Handloom, K.A. 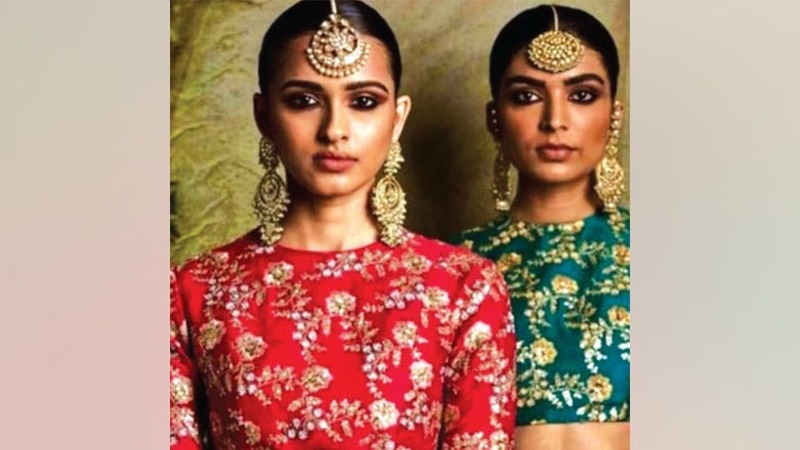 Fashion, Elegantz, Luknow Collection, Simran’s Collection, Poonam Jaiswal and more will all add to the glitz and glamour of Samridhi, says Geeta Patel the organiser.